WINDSOR, Ont. — The bond between late Fiat Chrysler Automobiles CEO Sergio Marchionne and this auto town that is home to the automaker’s Canadian headquarters and its minivan assembly plant runs so deep that word of his death triggered a community-wide outpouring of grief and tributes befitting a head of state. 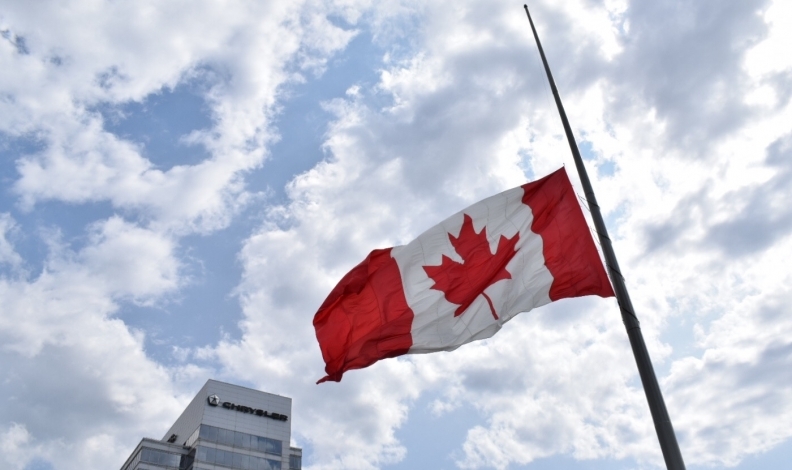 Soon after the news of Marchionne's death broke, Windsor Mayor Drew Dilkens announced that flags would fly at half-staff for five days in honour of the industrial titan, who died July 25 at the age of 66 from complications during shoulder surgery at a hospital in Zurich, Switzerland. The proximate cause of his death was cardiac arrest following the surgery, Bloomberg reported. Dilkens now wants elected officials to seriously consider a way to have Marchionne permanently commemorated in Windsor. Marchionne spearheaded key investments in FCA’s network of factories, including the Windsor Assembly Plant, which underwent a $1 billion retooling for production of the Pacifica minivan. By the time the upgrades were under way, Windsor was recovering from a brutal recession that had plunged the city into double-digit unemployment. But it was that $1 billion investment as well as the hiring of an additional 1,200 people to bring total employment at the plant — already the city’s largest private sector employer — to more than 6,000 that ignited the local economy. For two weeks after Marchionne’s death, Windsor residents filed through two municipal buildings to sign books of condolences that would be sent to Marchionne’s family. “It was important for me to make sure we recognize someone who left an indelible mark on our community at a time when the auto industry was collapsing,” Dilkens told Automotive News Canada. But, the connection between Marchionne and Windsor was forged long before the 2008-2009 financial crisis that led to the U.S.-Canadian government bailouts of bankrupt Chrysler Corp., General Motors, and ultimately, Marchionne’s decision as CEO of Italy’s Fiat SpA to take control of the Auburn Hills, Mich., automaker. Windsor's Great Canada Flag flies at half-staff in front of the FCA Canada headquarters. It began when Marchionne, a native of Italy who, along with his parents, immigrated to Toronto as a teenager, decided to pursue a master of business degree at the University of Windsor. “If there’s a high point in my life, it’s the time I spent here, and I’m not trying to blow smoke up your nose,” he said during a November 2016 question-and-answer session with students. “I had a phenomenal experience at the school; I learned more about finance here than in the last 30 years.” After earning degrees in business and law, Marchionne started his career as an accountant, rising through the management ranks at several businesses in Canada and then Switzerland, becoming a tax specialist, attorney and corporate fix-it man. His successes caught the attention of Italy’s Agnelli family, who invited Marchionne to sit on the board of Fiat SpA, which was facing financial ruin. In 2004, Marchionne took over as CEO, orchestrating a turnaround that included negotiating a payment of more than $2 billion by General Motors to settle contractual obligations, closing inefficient factories, restructuring debt and investing billions in Fiat’s product line. In 2009, with the help of US $7.6 billion in government loans, Marchionne acquired a 20-per-cent stake in Chrysler, a move that prevented the collapse of the automaker, but raised more than a few eyebrows. 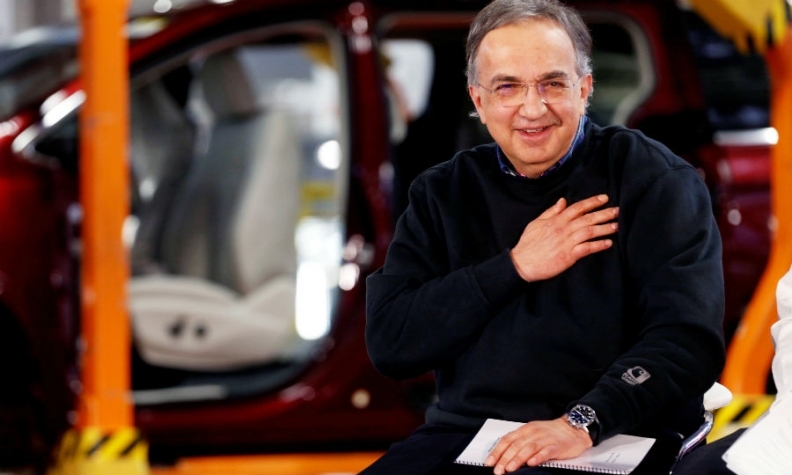 “That was one of the gutsiest acts of my life in terms of coming in and talking to the [Barack] Obama administration,” Marchionne told his young audience at the University of Windsor. Preferring blunt talk over scripted appearances, and black sweaters to business suits, Marchionne stood out among his global auto industry peers. A chain-smoking workaholic, he spent grueling hours, often on a plane, grafting together two companies with little in common. At Auburn Hills, Marchionne reduced the management layers, and cultivated a younger crop of senior executives, including FCA Canada CEO Reid Bigland and Jeep chief Mike Manley, who took over the global car manufacturer when Marchionne died.